Good afternoon y’all. We made it the end of the book of Numbers…Yaaay!!!! Thank God for the lessons we have learnt in this book, and seeing us through the study. 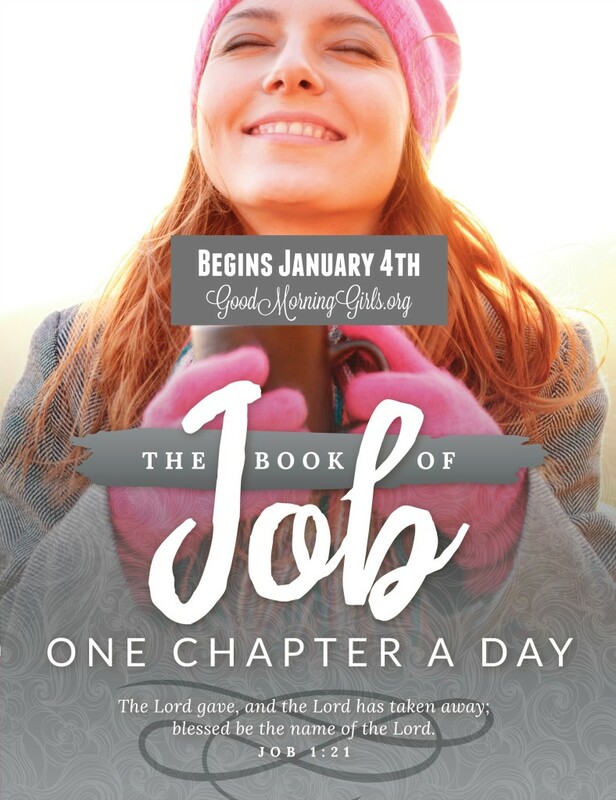 Few announcements from Good Morning Girls : we are on break from today to be back on the 4th of Jan with our study on the book of Job 🙂 . See Courtney’s blog on Introducing the book of Job . My focus today is on verse 13.
a. 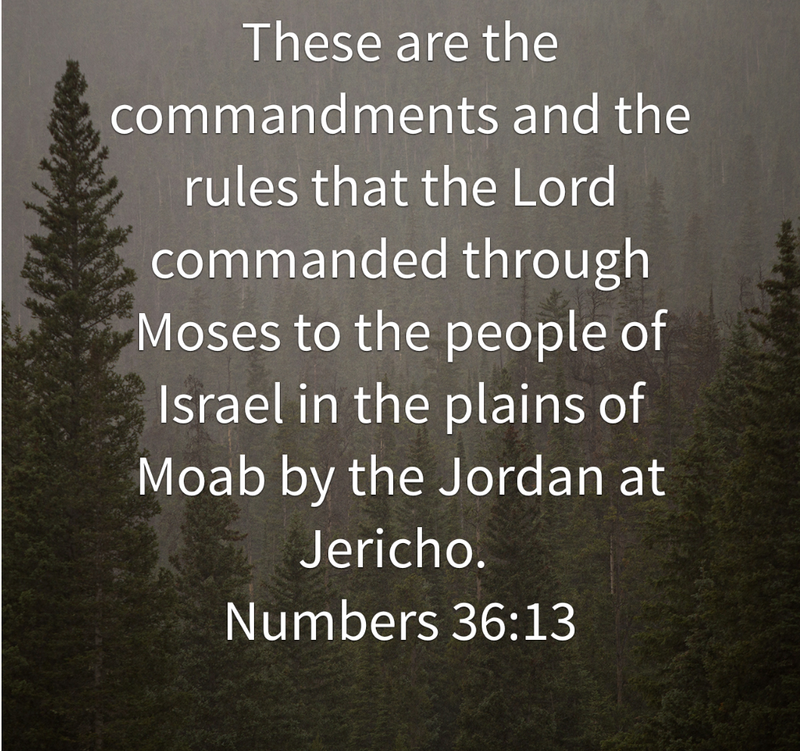 By the hand of Moses in the plains of Moab by the Jordan: The Book of Numbers began in the wilderness (Numbers 1:1). It now finished as close to the Promised Land as you can get without actually being there. b. Across from Jericho: As the Children of Israel stood across from the city of Jericho, we should consider what it took to take them from Egypt to this place across the Jericho. i. From their encampment at Mount Sinai, God gave Israel the opportunity to grow from being a slave people to being a Promised Land people. He taught them how to be ordered, organized, cleansed, separated, blessed, how to give, to be reminded of God’s deliverance, given God’s presence, and received the tools to advance to the Promised Land. ii. Then, as the nation actually set out from Mount Sinai to the Promised Land, they found themselves struggling with the flesh – they murmured, complained, and rebelled; most of all, they failed to enter into what God had set before them by faith – and a generation of unbelief was condemned to perish in the wilderness. iii. God led the nation for some 38 years in the wilderness, with much motion but no progress – enduring more rebellion and murmuring, but essentially waiting until the generation of unbelief had died and a generation willing to trust God for big things had come to maturity. iv. So they set out towards the Promised Land again, and faced the same challenges of the flesh – but dealt with them better this time, until they made their way to the threshold of the Promised Land. v. By spiritual analogy, many Christians die in the wilderness because they will not trust God, and will not enter into what He has set before them. Many Christians also see the evidence of that lack of faith display itself in a weakness towards the things of the flesh. Sadly, many Christian live more in the wilderness than on the threshold of the Promised Land. vi. Finally, consider what it would take to move the Children of Israel across from Jericho to the Promised Land. Staying on the shores of the Jordan River is better than being in the middle of the wilderness; but it isn’t the Promised Land yet. They came this far by faith, and will need faith to take them the rest of the way. – Exceprt from: Guzik, David. 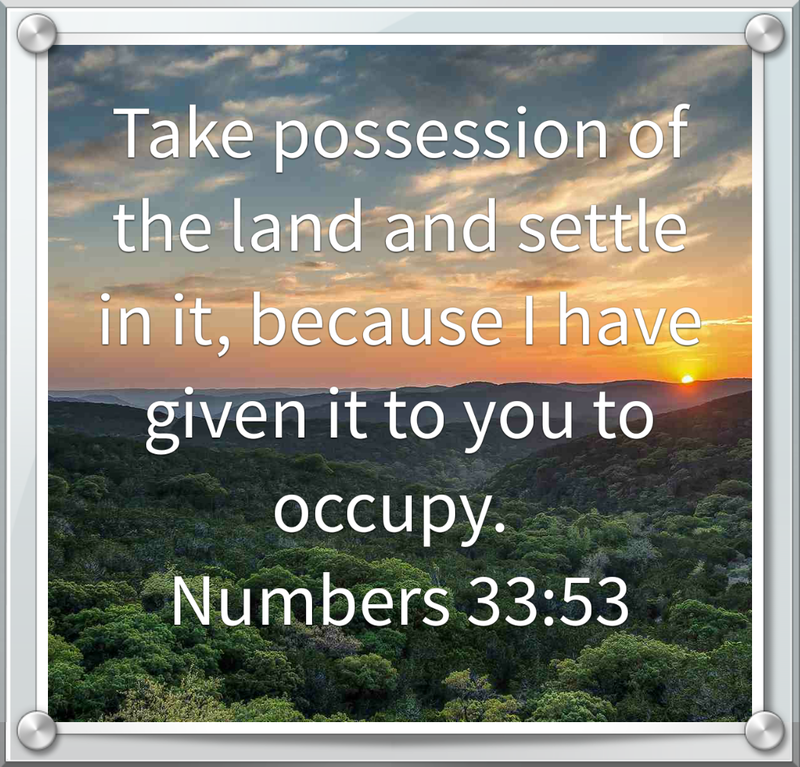 “Commentary on Numbers 36:1”. “David Guzik Commentaries on the Bible”. “http://www.studylight.org/commentaries/guz/view.cgi?bk=3&ch=36. 1997-2003. I look forward to you joining us in this study. For more details please click on this link. In this chapter we see Moses recount the journey of the isrealites from Egypt to the place where they are camped now. They are about to enter the promised land. God gives them a few instructions on what to do to the canannites when they get to the land and tells them the consequence if they dont obey him. My focus today is on verses 51 – 56. God told the Israelites to drive out the inhabitants of the land of canaan and destroy all their idols and evil practices. God didn’t want them to get contaminated by this people and their evil practices. He knows the children of Israel are easily led astray, so he gave the command for them to make sure they get rid of all the inhabitants of the land and their idols before they completely settle into the land. This is the only way they can enjoy living in the promised land. There are times when God tells us to let go of certain things or habits, but we refuse. Perhaps it’s because of the temporal pleasure we get from those things. In the end those things destroy us if we don’t get rid of them. That’s why Paul says “…let us strip off every weight that slows us down, especially the sin that so easily trips us up. And let us run with endurance the race God has set before us” (Heb 12: 1 NLT). God has given us the land. It’s ours but we have a part to play as well. We need to rid ourselves of anything that’s not of God. In the Israelites case, that meant dispossessing the inhabitants of the land, destroying their lands and idols. If they do not drive out the inhabitants completely, they will become a thorn in their life. Sin is like that. If we do not deal with the things we ought to deal with now, they later become hindrances that come back to bite us. Needless to say the Israelites suffered this consequence. Some of us cannot fully enjoy our promised land because there are things in our past that we should have dealt with, that we haven’t done. You know God wants you to let go of that habit or break off that relationship but because of the pleasure from it, you choose to hold on and that’s the reason why you can’t progress. Those things have now became a thorn in your life that control and dictate what you do thereby making sure you don’t have full victory. Lets ask God today to search us. Perhaps there are still sins that we haven’t dealt with or Instructions from God that we haven’t obeyed, lets ask for mercy and grace to do the right thing. “Keep your servant from deliberate sins! Let this be our heart cry today to God. Thanks for joining today. I’m blogging through the bible with good morning girls. Check us out at www.goodmorninggirls.org. We will be going on break from the 14th Dec to be back on the 4th Jan with the book of Job. I’ll post more details in tomorrow’s blog.